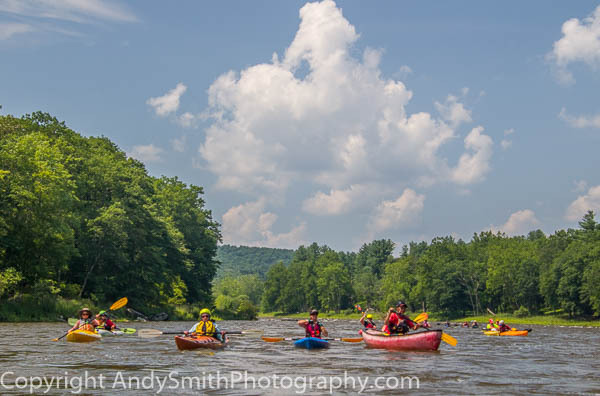 In August 2018, the fifth signing of the Treaty of Renewed Friendship between the Lenape Nation of Pennsylvania and people and organizations near the Delaware River took place at numerous spots along the River as participants in the Rising Nation River Journey paddled over a two week period. The Delaware River, known as the Lena'pe Sipu, is a sacred river to the Lenape Nation. In 2002 before the signing of the first Treaty, a paddling trip from Hancock, New York, to Cape May, New Jersey, covered the entire length of the Delaware. In August 2006, in August 2010 and in August 2014, that journey was repeated, covering much of the River. In 2018 the trip began in Hancock, New York, the beginnig of the Delaware and ended at Cape May with a celebration. Each day participants gathered for prayer and smudging before starting the day's journey, an act of respect for each other, the sacred waters of the river and thanks to Creator. The entire trip was one of reverence for the River and its watershed, the lifeblood of the land. The video below depicts some of the beauty of the River and the joy of the participants during the first five days. This year the trip included a visit to the Willow Wisp Organic Farm owned by Greg Swartz and Tannis Kowalchuk, who with their son Simon hosted us for lunch and signed the Treaty. 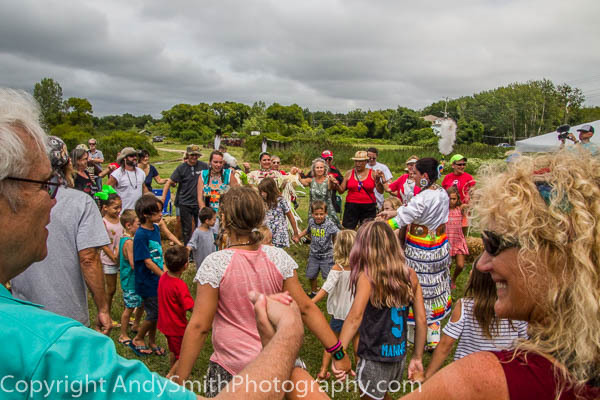 The Treaty signing at Temple University and the closing celebration at the Wes Lea Farm in West Cape May, New Jersey, form the last two sections of the images. For further information on the entire itinerary for 2018 go to Rising Nation Journey. Andy Smith Photography is proud to be one of the participants in the journey and one of the Treaty signers. Two versions of the slideshow are below, the first with 180 images (20:38), the second with 77 images (8:56). All images in the short version are in the longer version. Click on the image to view slideshow. This show presents a small selection of images. or printed without the express written permission of the photographer. If you were on the Journey or interested and want an image contact me. I am happy to provide one.